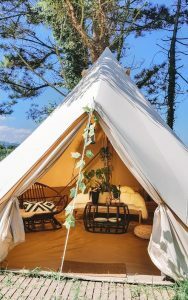 When brands try to be innovative and sustainable at the same time, this is when you got our attention. 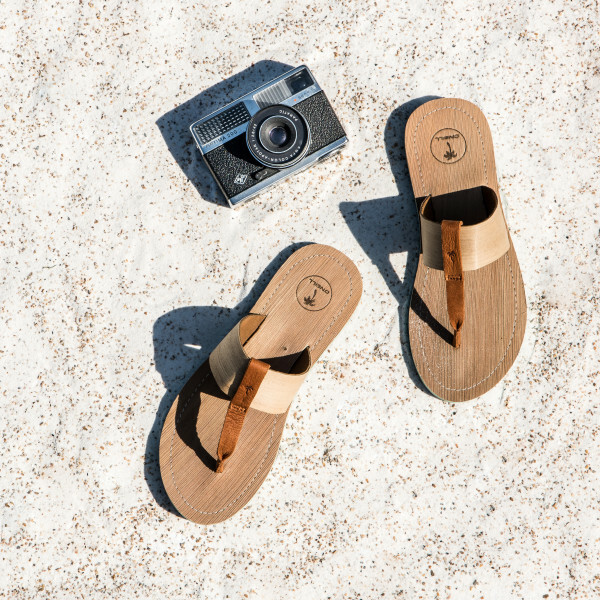 O’Neill Footwear just launched a slipper that is made out of Palm leaves! Don’t worry, no palmtrees are cut down for this. Have you heard of the Areca Palm? That is a palm tree which grows in the Southern part of India. Every year there are 80 million leaves falling down from it and nothing was ever done with it … until now ! 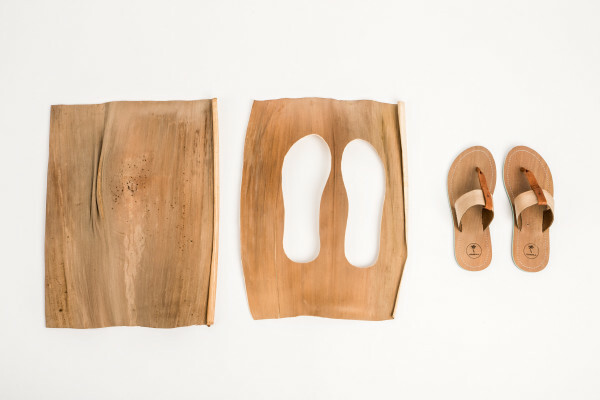 Together with Tjeerd Veenhoven, a Dutch designer, O’Neill created these slippers with a good story. Tjeerd Veenhoven researches in sustainable and natural materials. He has already created paint of tulips, laminate from potato skins and textiles from algae. and now he was asked by O’Neill to check out the possibilities with palm leather. O’Neill created 2 slippers for women. One slipper with a toe strap called ‘ Chelsea ‘ and one sandal with cross strap under the name ‘ Sophie’ . The footbed and two straps are made ​​of palm leaves. The beach footwear feels comfortable and yet, managed to look stylish. For this extra comfort they’ve used one small suede strap. 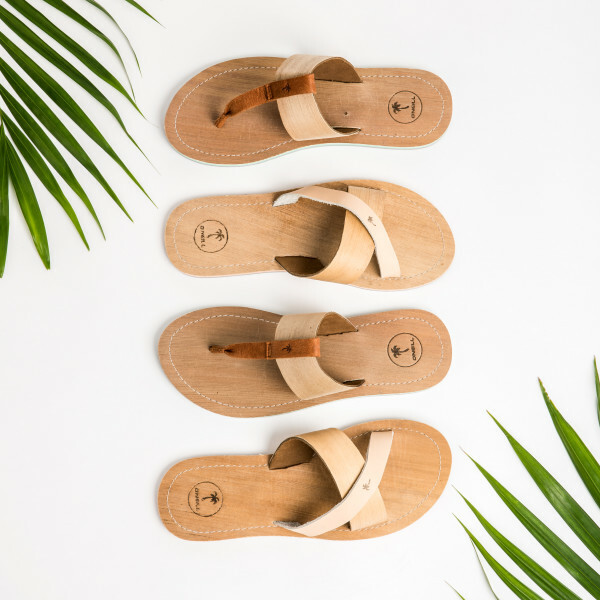 The cool thing about these palm slippers are that each pair is unique and different in color and has other features, because it being a natural product and no palm leaf is the same! Besides the ultimate surfer slipper, there is another reason to buy it. The fallen palm leaves picked up by local Indian workers where they are carefully selected for manufacturing. For each palm leaf they pick up, they get paid. This process improves the lives of many Indian people . Hence the name : The ” Tree of Life Project. The palm tree is now vital for the poorest communities , in a country where caste your position on the social ladder states . Who buys these slippers , supports the local Indian employees can now also take advantage of what nature provides. I’m looking forward to wear my first pair of Palmtree Slippers as my order is on it’s way! They are available at MINT from the 28th of July.